After the handover, Macao is no longer a Portuguese colony but an SAR of China. Unlike Hong Kong, “the selection of the Chief Executive by universal suffrage” and “the election of all the members of the Legislative Council by universal suffrage”, dubbed “double universal suffrage”, are not stipulated as being “ultimate aims” in the Basic Law of Macao. Nonetheless, Macao can enjoy a “high degree of autonomy” and the special privilege of “Macao people governing Macao” under the framework of “one country, two systems”. Because of this historical change, Macao’s political system was restructured and the public’s desire for more direct political participation rose. 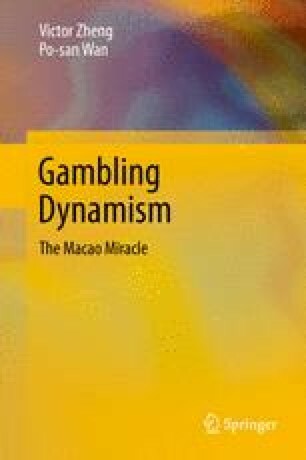 The liberalization of the gambling industry, which triggered dramatic economic growth and social transformation, further galvanized calls to speed up democracy and to alter the “balance of representation” in the legislature. Such demands have come not only from those who have not benefitted much from the buoyant economy (New Macau Association 2009), but also from the privileged sectors. For example, the casino operators are lobbying for a gambling industry seat in the Legislative Assembly (Macau Post Daily 27 March 2012) so as to guarantee their representation in the law-making body.